Wayne State University School of Medicine Professor of Physiology Jeffrey Ram, Ph.D., is the co-editor of a significant publication on the biology of aging, released in print last month and available online since April. "Handbook of Models of Human Aging, Second Edition" ($295, Elsevier) is the culmination of several years of collaboration between Dr. Ram and his co-editor, P. Michael Conn, the Robert C. Kimbrough Professor of Internal Medicine and Cell Biology/Biochemistry at Texas Tech Health Sciences Center. 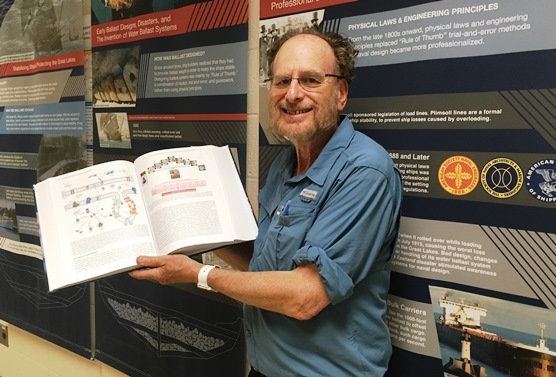 "Beautifully produced, and with full color, we expect this reference book to be an attractive and useful book for scientists and physicians interested in the mechanisms of aging and longevity," said Dr. Ram, director of the Belle Isle Aquarium Laboratory in Detroit. The comprehensive 1,197-page handbook covers all models of aging research, including methods of study for human aging and animal models. Three of the 80 book chapters by national and international scientists are written by School of Medicine faculty or other affiliates, including Anthony Costa II, Markku Kurkinen, Maryam Safdar, Alyson Sujkowski and Robert Wessells, with another chapter by School of Medicine alumnus Ranganath Muniyappa, M.D., who heads clinical research and training programs at the National Institutes of Health in Bethesda, Md. The book is designed as the only comprehensive work that covers the diversity of aging models available. Chapters on comparative models explore age-related diseases, including Alzheimer's, joint disease, cataracts, cancer and obesity. New approaches not available in primary publications are also included, making it an indispensable resource for researchers interested in the mechanisms of aging, gerontologists, health professionals, and allied health professionals and students.